After re-reading The Great Gatsby and finishing Franklin and Winston earlier this fall, I jumped into another round of investing books. The three investing books I happened to read in recent weeks have also been some of my favorites. Today I'd like to highlight one great lesson from each of these books and show how we can immediately apply them to our research processes. John and Tom are former colleagues of mine from +The Motley Fool, and being familiar with the quality of their work, I went in with very high expectations and still came away extremely impressed. Their book provides a thorough overview of some important yet often overlooked topics including earnings quality analysis, short-selling, deep value investing, long/short portfolio construction, and technical analysis. "Here are some of the factors that we analyze to determine the quality of the company's revenue. At the top is a metric you should have burned into your memory: days sales outstanding." This formula measures the number of days it takes the company to collect revenue after it makes a sale. If that figure is trending higher, for instance, it could be a sign that the company is offering more liberal payment terms to its customers in hopes of booking more sales now. A higher DSO alone doesn't necessarily mean something serious is afoot, but it can be a tip-off to look more closely at earnings quality. As we can see, SNHY's DSO has been pretty steady between 32 and 39 days over the past ten quarters, and there hasn't been any substantial increase in any year-over-year figure. If DSO had been trending upward -- to say, 45 or 50 days -- it could be a sign that management had been "stuffing the channel" to make short-term results look better and could come at the expense of longer-term results. 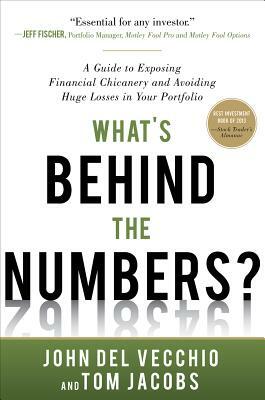 While this book is not completely about investing, Mauboussin is the Chief Investment Strategist at Legg Mason and an adjunct professor of finance at Columbia, so there is naturally quite a bit of investing discussed along with some great discussion about the roles that skill and luck play in our favorite sports and games. "Luck may or may not smile on us, but if we stick to a good process for making decisions, then we can learn to accept the outcomes of our decisions with equanimity." "A friend at a prominent hedge fund told me that his firm has developed a checklist for responding when a company suddenly announces bad news. While the stocks of those companies always go down at first, sometimes the drop is nothing more than an opportunity to buy more shares. At other times, it's best to sell the position. The checklist helps the employees keep their heads cool as they decide which is the better decision." It's important to stay as calm as possible. Breathe and scan. Rather than read or watch news reports, which are typically sensationalized, go straight to the source. Read the company's press release and any associated presentation materials. After you've gathered the facts, develop your own take on the event. Revisit your original investment thesis, paying close attention to how the new information might impact the company's longer-term competitive position. Ask yourself, "Does this development fundamentally alter my thesis?" If so, consider selling and don't anchor into the price you originally paid for the stock. Consider buying more if your thesis remains intact, bearing in mind your current exposure to the investment and how the new share price compares with your fair value estimate. Remember that doing nothing is doing something. As such, know why you're deciding not to take an action. Consider putting your own buy or sell checklist together. I think you'll find it to be a helpful exercise. Many individual investors have mixed feelings about M&A, particularly if its your company doing the acquiring. Misguided M&A decisions can destroy value, muddle financial statements, and can alter your original investment thesis. In short, they can be a real pain in the neck. "M&A failures amount to a small percentage of the total volume of M&A activity. Investments through acquisition appear to pay about as well as other forms of corporate investment. The mass of research suggests that on average, buyers earn a reasonable return relative to their risks." Fair enough, but investors should still approach significant M&A deals with skepticism until proven otherwise. And, to Bruner's credit, this book does equip you with a good framework for evaluating M&A deals, featuring case studies of some of the worst deals in modern financial history -- i.e. Enron/Dynegy, Quaker Oats/Snapple, AOL/Time Warner, etc. The business and/or the deal was complicated -- An acquired company that is difficult to understand or has a complex business model will likely be a difficult one to integrate. Flexibility was at a minimum -- A company that overpays for a deal and/or over-leverages its balance sheet to make the deal happen has little room for error. The deal elevated risk exposure of the new firm -- The additional risk could come from a number of sources (legal issues, lower credit ratings, too much leverage, declining end-markets, etc.). Decision-making process was biased -- An example here would be an overconfident management team that was willing to pay anything to make the deal happen. Business was not as usual -- The deal creates a significant departure from the company's routine and/or expertise. Cultural differences -- If two companies with very different cultures (i.e. regional customs, level of bureaucracy, etc.) merge, it could lead to the departure of key individuals at the acquired company. 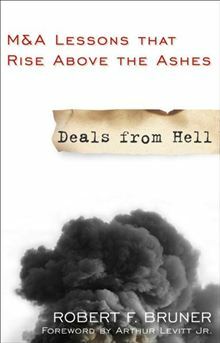 As Bruner notes in the book, the "deals from hell" tend to occur when all six red flags are present. If your company has just announced a major acquisition, turn to this table and see how many boxes fit the left column versus the right column. The more check marks on the right hand column, the more you should be skeptical of the deal. Today, there are some 50 dividend ETFs in the U.S. market with approximately $50 billion under management between them. A few years ago, there were only a handful of them to choose from. Thanks to the growing investor demand for income, however, they have rapidly attracted assets and, naturally, new ones seem to spring up each month. In five years' time, I expect most of them to have gone the way of the Dodo, or at least have altered their mandates, as investors will eventually either a) be underwhelmed by their performance and/or b) find lower-risk alternatives for generating income and consequently take their money elsewhere. Here are three reasons why I think that will be the case. #1) They're basically closet-S&P 500 trackers with higher expense ratios. Most of the highly-liquid, higher-yielding stocks (the Exxons, GEs, etc.) are already found in the S&P 500, yet you'll likely pay at least 0.3% for a dividend-themed ETF versus 0.1% or less for an S&P 500 tracker. As this one-year performance chart comparing SPY with five of the larger dividend ETFs by AUM illustrates, you haven't been getting what you paid for. In fact, SPY was the best-performing of the lot. #2) Serious dividend investors can replicate the strategy on their own at a lower cost. An individual investor with a firm understanding of stock selection and portfolio construction could put together a diversified basket of individual dividend-paying stocks on their own -- that also better matched his or her risk tolerance and objectives -- and do so at a lower cost in the longer-term assuming they don't actively trade. Experienced dividend investors already know they can build their own portfolios and aren't the ones pumping money into dividend-themed ETFs. As such, I suspect that most of the money that's been invested in dividend ETFs over the past eighteen months has come from financial advisors hoping to eek a little more income out of their clients' portfolios in a low-rate environment, and that once interest rates rise (or tax rates change), they'll gradually switch their clients back to fixed income products. #3) Dividend ETFs will be slow to adjust to changes in the market environment. It seems that each new dividend ETF that hits the market claims to have some kind of edge over the others -- "quality", "dividend dogs", and so on -- and they've all done backtests to show how their strategy would have worked over the past x number of years. The thing to keep in mind is that the dividend environment has changed dramatically over the past ten years and will likely change even more in the next ten. Since 2003, for instance, U.S. dividend tax rates were dropped to historic lows, the financial crisis led to hundreds of dividend cuts, and buybacks eclipsed dividends as the primary way that companies return shareholder cash. Looking forward, U.S. dividend taxes will go up in 2013 and that will certainly have a meaningful effect on corporate dividend policies in the coming years. All this is to say that dividend ETFs that construct their portfolios based on strategies that worked in the past may find that their formulas do not work going forward. My rule of thumb here is, the more "boutique" the dividend theme or strategy in an ETF, the more likely it will struggle to adjust to changing market conditions. This is not to say that all dividend ETFs are doomed or unworthy of investment, but to be careful about which ones you choose. A number of them will be survivors, and they'll likely be the ones with the lowest expense ratios and broadest diversification. Sadly, those are also usually the ones that most-closely track the S&P 500 and offer the lowest yields. If you really want to give one of these new specialized dividend-themed ETFs a try, do proceed with caution. Don't focus on backtested performance, but focus on the fund's stock selection process. This will likely be my last post in 2012, so I wanted to say "thank you" for reading this year and to wish you a great holiday season. I also recently started up a dividend investing community on Google Plus, which you can join by clicking here (free with a Google account). It would be great to see you there! We've all been there. You check your stocks in the morning, take a sip of coffee, only to find -- spppittt! -- one of your stocks is down big, real big. At this point many questions begin to race through your mind -- What happened? Did I miss something? Should I sell? Should I buy? It feels like the clock is ticking and that you need to make a decision now. These are the times that try patient investors' souls*, and they're important ones to manage properly. Knee-jerk reactions are rarely rewarded in the stock market. What do you think? Have one to add to the list? Please post your thoughts in the comments section below.